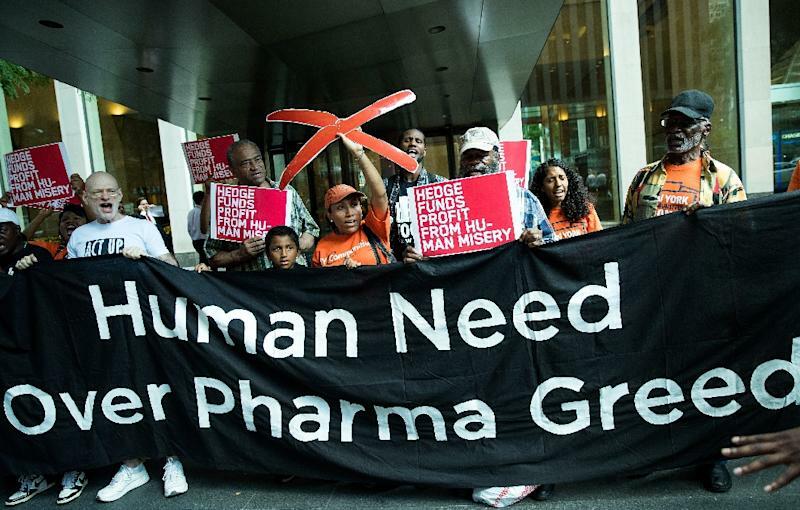 New York (AFP) - Prosecutors announced Tuesday they added 12 more companies and two executives as targets in a wide-ranging antitrust investigation that charges generic drug manufacturers fixed drug prices. The suit, which was filed in December and is now supported by prosecutors from 45 US states, alleges a broad conspiracy by Mylan Pharmaceuticals, Teva Pharmaceuticals and others to divvy up markets and set prices to boost profits at consumer's expense. On Tuesday, attorneys general from the 45 states asked a federal court to allow them to increase the number of generic drug manufacturer defendants from six to 18, increase the number of drugs at issue in the litigation and name two executives as defendants. The executives are Mylan president Rajiv Malik and Satish Mehta, chief executive of Emcure Pharmaceuticals, parent company of Heritage Pharmaceuticals. "When that complaint was filed, I said it was just the tip of the iceberg," said Connecticut Attorney General George Jepsen, who first began probing generic drug price increases in 2014. "Today, we are seeking leave of the court to file an expanded complaint that implicates significantly more companies, significantly more drugs and two individual executives in the illegal conduct." "Generic drugs are a multibillion-dollar industry," Jepsen said, "but it's an industry based on products that people need and rely upon every single day ... The allegations of our complaint are shocking, and the depth and breadth of the conspiracies alleged are mind-blowing." Besides Mylan, Teva and Heritage, the initial complaint named AurobindoPharma USA, Inc., Citron Pharma, and Mayne Pharma. On Tuesday, the prosectors proposed adding Actavis Holdco, Actavis Pharma, Ascend Laboratories, Apotex Corp., Dr. Reddy's Laboratories, Inc., Emcure Pharmaceuticals, Glenmark Pharmaceuticals, Lannett Company, Par Pharmaceutical Companies, Sandoz, Sun Pharmaceutical Industries, and Zydus Pharmaceuticals (USA).